Many of you who follow me on social media or read the blog know that I am quite passionate about movies. I watch a lot of movies, good or bad regardless of style unless it's a beautiful Italian movie that's been ripped off onto an egyptian version. As a techie (see I avoided using geek) sci-fi has always held a special place in my heart and when I got the chance to get a sneak peak at Tom Cruise and Emily Blunt's latest flick I didn't mind throwing a few elbows to make my way into the movie theater. I don't want to go throw in any spoilers as most have not seen the movie yet, also since I strongly believe there is a special place in hell (or somewhere in Beirut Traffic, whichever comes first) for people who giveaway plot details. So here are my 2 cents on what I got to watch tonight. This was an entertaining movie with some cool visual effects, acceptable plot line (with only one major hiccup), some curved balls that break away partially of the Hollywood stereotypes and the same action movie quality performance we have seen before from either star. The hook, however is in the title and the trailer as you might have already seen it. The possibility of living, dying then repeating things has been toyed with for a while. The temporal loop has been explored before in many movies, my favorite being still "Ground Hog Day" (1993) with Bill Murray. 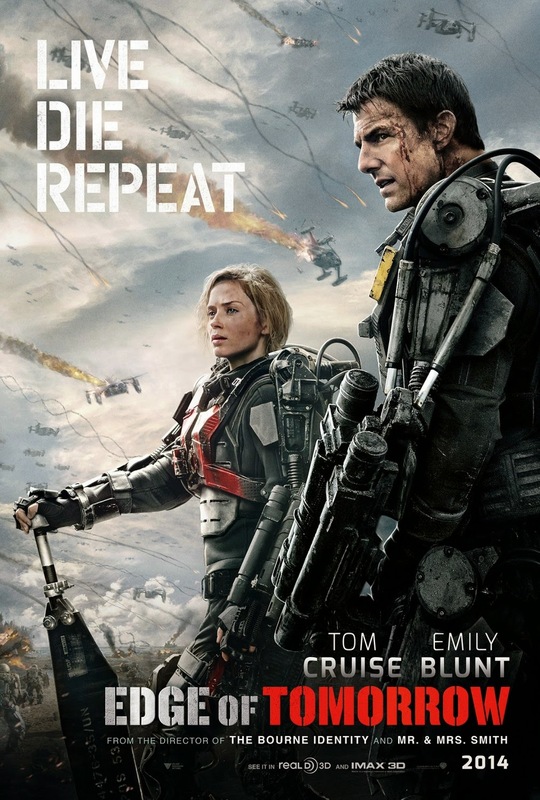 Although the comedy of Bill Murray does take a jab at analyzing life and exploring the intricate emotions that connect us humans, "Live Die Repeat - Edge of Tomorrow" takes a darker approach to this from the start by setting the action in the midst of war, where there are far worse odds to come up against than meeting Ned Ryerson. This movie offered a nice trip into a darker future world where hope was scarce but human spirit prevailed but the roller coaster it took me on was not on the silver screen, it was mostly in the afterthoughts of "what if". What if we were given to relive the same experiences and learn to correct mistakes? What if we were not able to learn? What if that was a punishment and not a blessing? I know a few people I would not want to be reliving the same day with and I am sure they feel the same. But then again, if you really think about it, sometimes real life does need an undo button .